Once the world's largest insurer, AIG is about to get its fourth infusion of cash from the government. The government on Monday unveiled a revamped rescue package to insurance giant American International Group and will provide the troubled company with another $30 billion in taxpayer money on an "as needed" basis. The new package comes as AIG has burned through cash and been unable to find buyers for pieces of its company that it hoped to sell to repay the government on its existing aid package, which totals some $150 billion. In an interview on NBC's "Today" show Monday morning, AIG Chairman and Chief Executive Edward Liddy said: "We're going to be able to pay back the Federal Reserve. The new $30 billion is a standby line. It's not necessarily something that we think we'll have to draw on right away." But Liddy backed off earlier statements about paying back taxpayers in full within two years. "It is clearly our goal. But we need some help from the financial marketplace," he said. 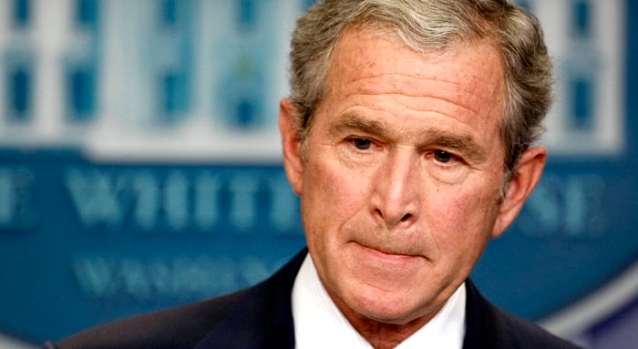 "The Federal Reserve debt we'll pay back clearly in two years. And we'd like to make meaningful progress, paying back the original (government) investment." The announcement came as AIG, once the world's largest insurer, reported Monday it lost $61.7 billion in the fourth quarter, the biggest quarterly loss in U.S. corporate history. Under the new package, the Fed will take up to a $26 billion stake in two international units — Asia-based American International Assurance Co. and American Life Insurance Co., which operates in 50 countries. The Fed also will make $8.5 billion in new loans to benefit the domestic life insurance subsidiaries of AIG. It marked the fourth time the government has stepped in to help AIG. Its initial lifeline came in September, when the government effectively seized control of the company, taking a nearly 80 percent ownership stake and replacing top management. The new package is designed to enhance the company's capital and liquidity to facilitate the "orderly completion of the company's global divestiture program," the Treasury Department and the Fed said in a joint announcement early Monday. The fresh $30 billion will come from the government's $700 billion financial bailout pot. 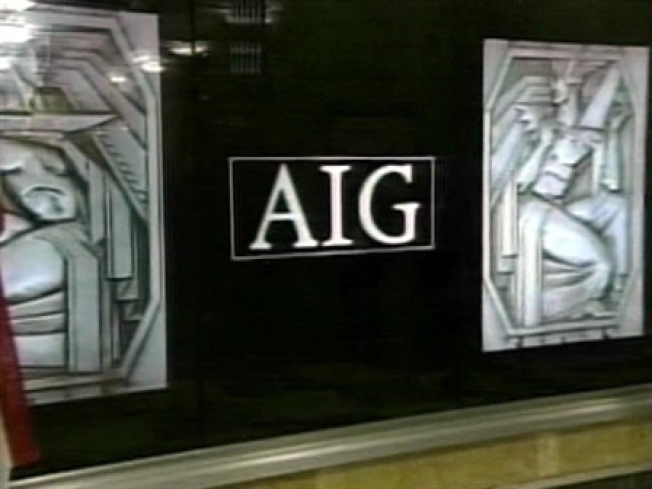 AIG will be allowed to draw the money "as needed over time," the government said. The company received a $40 billion cash infusion from the bailout fund in November, when the government last revamped AIG's rescue package. Meanwhile, AIG's credit line with the Fed was cut to roughly $25 billion from $60 billion. All told, the net effect of the new bailout package provides AIG with an extra $30 billion, Treasury and Fed officials said. Critics worry the government's bailout actions have the potential to put ever-more taxpayers' dollars at risk and encourage "moral hazard," where companies feel more comfortable making high-stakes gambles because the government will rescue them. The public has expressed anger over the situation. In other relief, the revamped package reduces the interest payments AIG has to pay on its government loans. Government officials estimated that would save the company between $900 million and $1 billion a year. The Treasury also will exchange its existing $40 billion in AIG stock to new preferred shares with revised terms that more closely resemble common equity. That conversion should provide a quick boost to AIG's capital position, government officials said. Although the agreement still calls for AIG to pay the government a 10 percent annual dividend on the Treasury's shares, the decision to make the dividend payment will be at the discretion of AIG's board, government officials said. Government officials said all the changes should make for a smaller, more viable AIG and put it in a better position to sell some of its businesses to repay the government. Government officials continued to insist U.S. taxpayers will be paid back. But they wouldn't map out a time frame as to when they believe that would happen. Explaining its decision to provide fresh assistance, the Treasury and the Fed said AIG continues to face "significant challenges" due to the rapid deterioration in certain financial markets. "The additional resources will help stabilize the company and in doing so help stabilize the financial system," the agencies said. AIG is a colossus on Wall Street and financial districts worldwide, with operations in more than 130 countries and $1 trillion in assets on its balance sheet. The government initially intervened last year to help AIG because it deemed the company too big to fail. A collapse would wreak havoc on the entire financial system and the already stricken U.S. economy. Besides life, property and other insurance offerings, AIG provides asset-management services and airplane leases. Its businesses also are linked to mutual funds, annuities and other retirement products held by millions of ordinary Americans. But perhaps the biggest concern about AIG is the dizzying array of complex financial instruments it structured for commercial banks, investment banks and hedge funds worldwide — many of which were directly or indirectly linked to the value of U.S. mortgages. In its earnings report, New York-based AIG said it lost $22.95 per share in the last three months of 2008. It lost $5.3 billion, or $2.08 per share, in the year-ago period. The latest results include $7.2 billion in unrealized losses and credit valuation adjustments at AIG Financial Products, the source of credit-default swaps, and pretax losses of $21.6 billion tied to the declining value of AIG's investment portfolio. AIG's general insurance business reported $2.8 billion in net realized capital losses. General insurance net premiums dropped 16.3 percent to $9.2 billion, and net premiums earned fell 5.9 percent to nearly $11 billion. Adjusted to exclude certain items, operating losses totaled $37.9 billion, or $14.17 per share, versus a loss of $3.2 billion, or $1.25 per share, last year. The results drastically fell short of estimates. Analysts surveyed by Thomson Reuters, on average, forecast a loss of 37 cents per share on revenue of $24.82 billion. Analysts have been dropping coverage of AIG in recent weeks due to the uncertainty of the company's future.